Pass-through disks for a virtual machine is not a new technology. It started in Windows Server 2008 with Hyper-V. Pass-through disks is a feature to allow a virtual machine to attach a physical disk. Using a physical disk in a virtual machine will benefit from more disk space (more than 64TB). However, administrators need to be aware of some limitation in a virtual machine which is attached a physical disk. 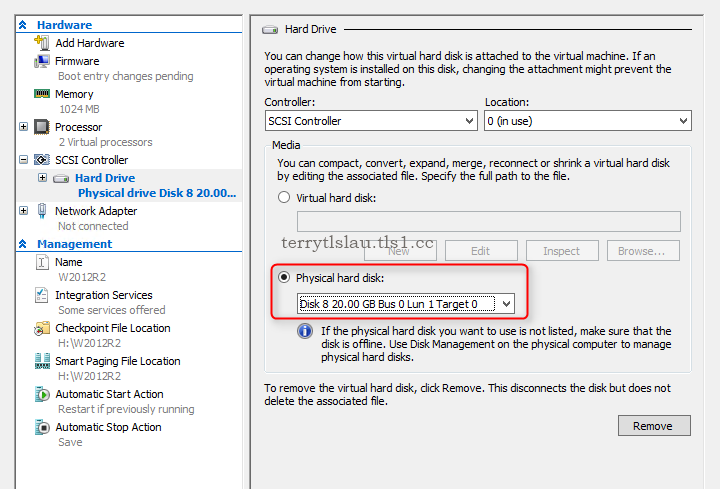 In Windows Server 2012 or R2, administrators can use GUI or perform cmdlet to attach a physical disk to a virtual machine. 1. To use pass-through disks for a virtual machine, a physical hard disk should be set to offline mode. 2. 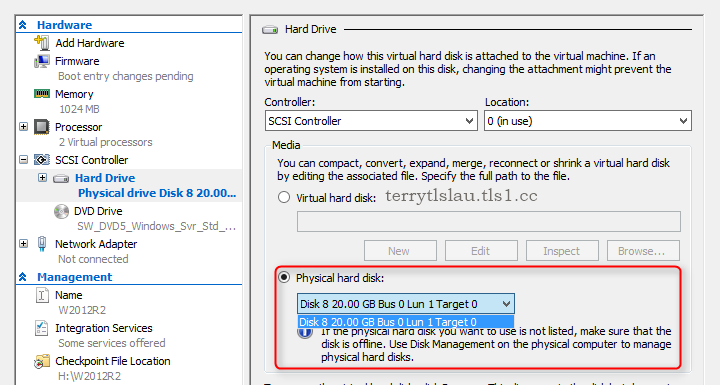 In the settings of a virtual machine, we can select the "Physical hard disk" option. 1. 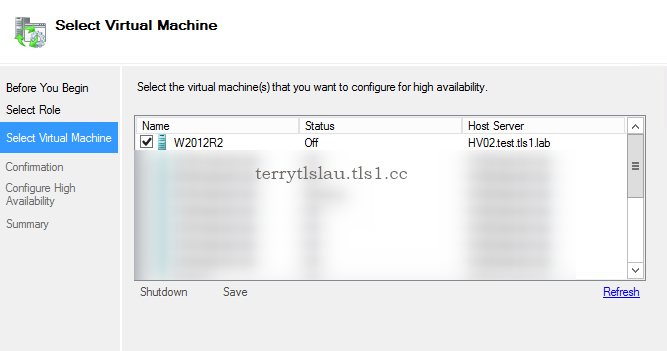 Launch "PowerShell" as administrator in a Hyper-V host. 2. Perform "Get-Disk" to check the disk status. 3. Perform "Add-VMHardDiskDrive -VMName <VMName> -ControllerType <SCSI or IDE> -ControllerNumber <Controller number> -DiskNumber <Physical Disk number> -Passthru" to add a physical disk to a virtual machine. To add a physical disk to a virtual machine which is in a cluster environment, the physical disk should be added in a cluster. To add a physical disk to a cluster, the physical disk should be initialized. 1. Launch "Failover Cluster Manager". 2. On "Failover Cluster Manager" window, select "Disks". 3. Next to "Actions" pane, click "Add Disk". 4. On "Add Disks to a Cluster" window, check a disk, click "OK". 5. 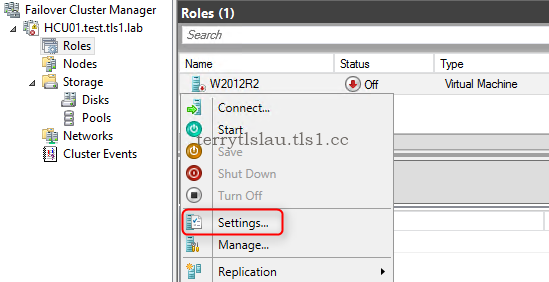 Right-click "Roles", select "Configure Role". 7. 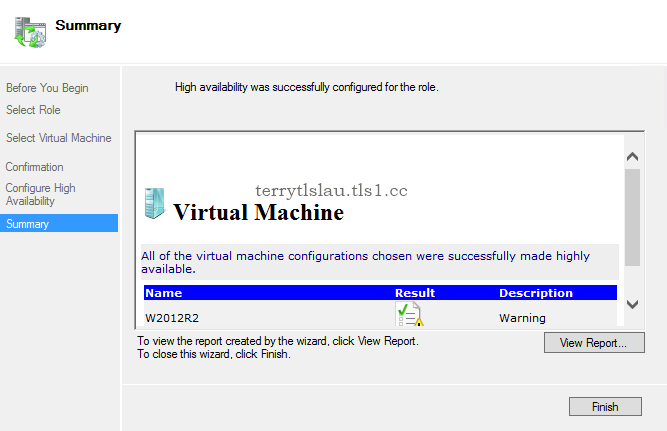 On "Select Role" window, select "Virtual Machine". 9. 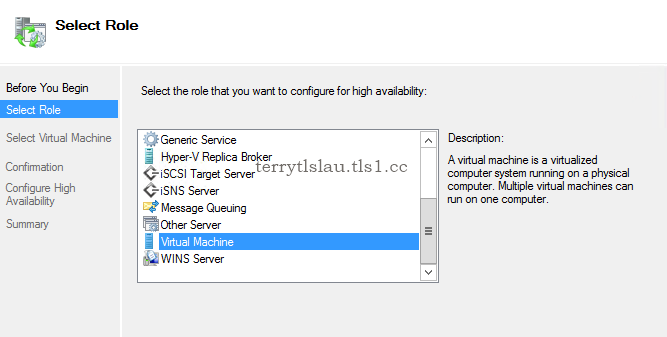 Check a virtual machine which you want to add into a cluster. 11. On "Confirmation" window, click "Next". 12. On "Summary" window, click "Finish". 13. Right-click a virtual machine, select "Settings". 14. Next to "SCSI Controller" or "IDE Controller", select "Physical hard disk". As a result, a physical disk has been added into a virtual machine in a cluster. 1. 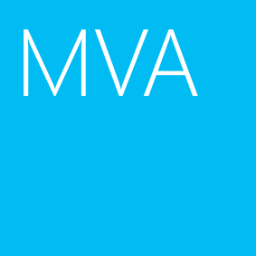 Launch "PowerShell" as administrator in a clustered Hyper-V host. 2. Perform "Get-ClusterAvailableDisk" to check a disk which can be added into a cluster. 3. Perform "Get-ClusterAvailableDisk | Add-ClusterDisk -Cluster <Cluster Name>" to add physical disks into a cluster. 4. Perform "Get-ClusterResource" to check the physical disk. As this moment, the physical disk, Cluster Disk 1, is under "Available Storage" group. 5. 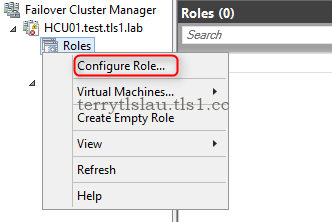 Perform "Add-VMToCluster -VMName <VMName> -Cluster <Cluster Name>" to add an existing virtual machine into a cluster. 6. Perform "Add-VMHardDiskDrive -VMName <VMName> -ControllerType <SCSI or IDE> -ControllerNumber <Controller number> -DiskNumber <Physical Disk number> -AllowUnverifiedPaths -Passthru" to add a physical disk to a virtual machine in a cluster environment. 7. Perform "Get-ClusterResource" to check the physical disk. As a result, the physical disk was added into a virtual machine.